As summer turns into fall, it is easy to still find an abundance of zucchini. 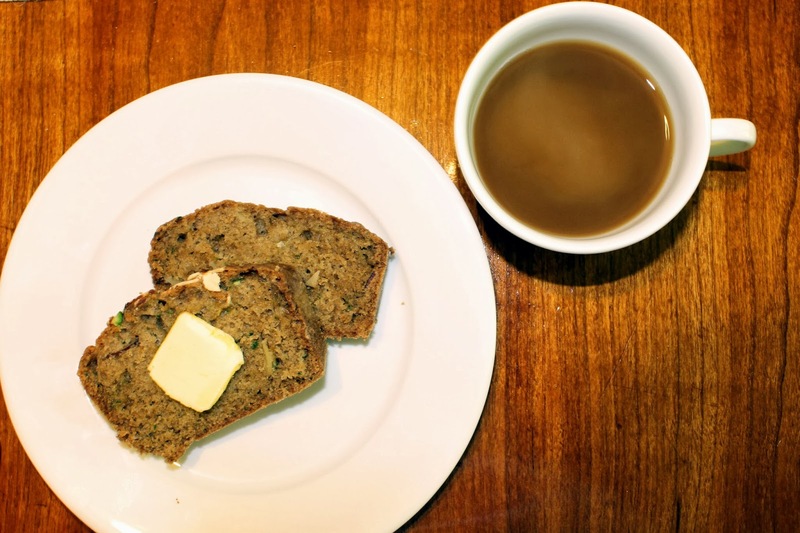 I always seem to have extra in the fridge, so when the first cool morning happened I wanted something warm and comforting for breakfast I turned to this recipe. 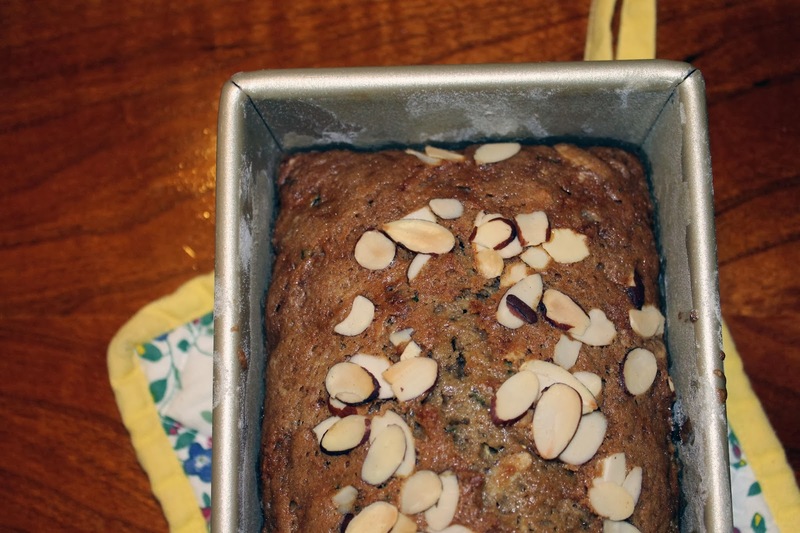 Zucchini bread can be a little boring, so added additional flavor with almonds. The ones in the better get soft and sweet, while the ones of top get toasty and delicious. The altering texture adds a great dimension in this sweet bread. Preheat oven to 350. Lightly grease and flour and 9x5 inch loaf pan. In a large bowl, whisk together eggs, vegetable oil, and sugar. In a small bowl, sift together flour, baking powder, and baking soda. Add flour mixture to egg mixture. 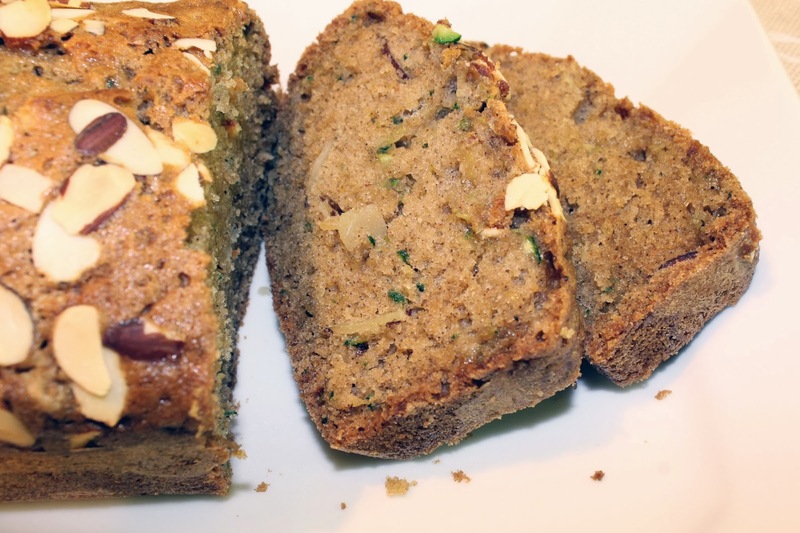 Stir in zucchini, 1/2 cup almonds, cinnamon, nutmeg, and extracts. 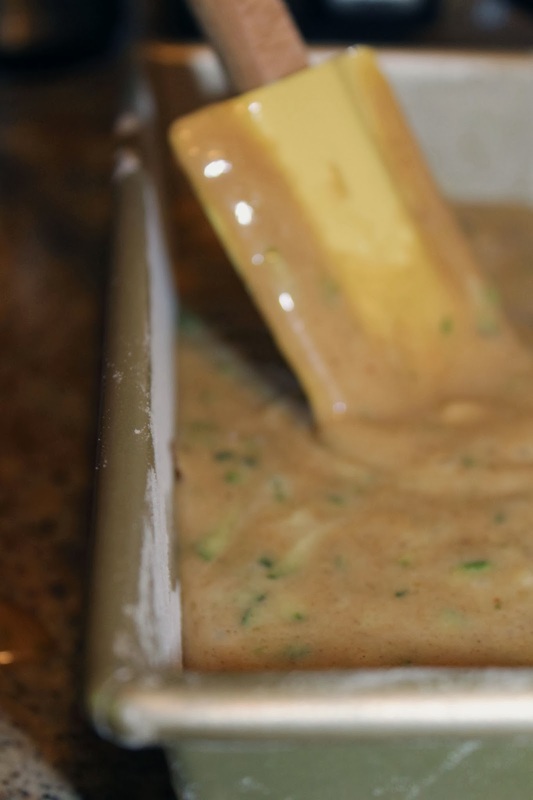 Pour batter into loaf pan and top with remaining almonds. Bake for 45-60 minutes, or until a tester toothpick comes out clean. Allow to cool in the pan for 10 minutes, and then invert onto a drying rack. Serve at warm with butter or at room temperature.